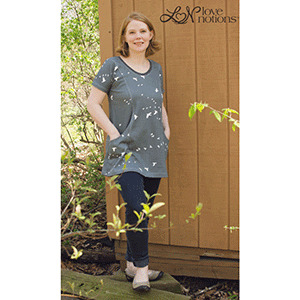 The Ladies' Trendy Tunic will soon be a staple in your closet. 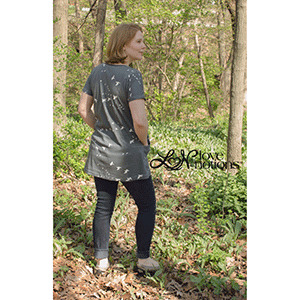 Made with knit fabrics, the tunic length top has simple lines, inset pockets and short cap sleeves. 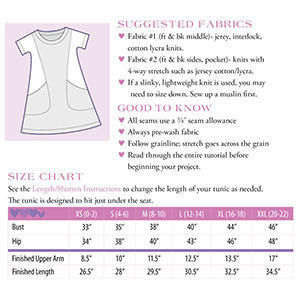 Pair it with tights, leggings or jeans and you’re ready to go! It’s versatile, fun and modern. 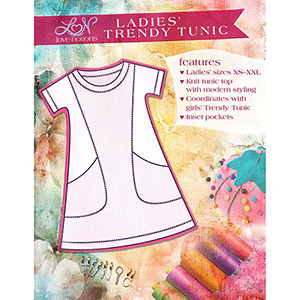 This is the womens version of the Trendy Tunic.